For some reason I thought this was super hard to set up, but it turns out it isn't. If your Jambox doesn't sound great when connected to your Mac, but sounds great when connected to an iPhone or iPad, you might want to try the following. This assumes that you have tried other troubleshooting tips posted here. Default bluetooth settings on your Mac may create a low quality bluetooth connection between your Mac and your bluetooth device. We need to edit the bluetooth plist file located at ~/Library/Preferences/com.apple.BluethoothAudioAgent.plist. The property or key that needs to be changed in this file is "Apple Bitpool Min (editable)". The default value is 2. You should try and use a value between 40 to 58 and see if your problem is resolved. To edit the plist file, launch Terminal and type the following. Do not copy and paste as you may experience unexpected results. Also make sure your Mac is backed up before trying any of this if you are not comfortable working in Terminal. After this, shut of your bluetooth and turn it back on. This got rid of an annoying intermittent chirping sound coming from my jambox when connected to my Mac via bluetooth. I used a value of 48 instead of 40. Just play around with the values to see what works. 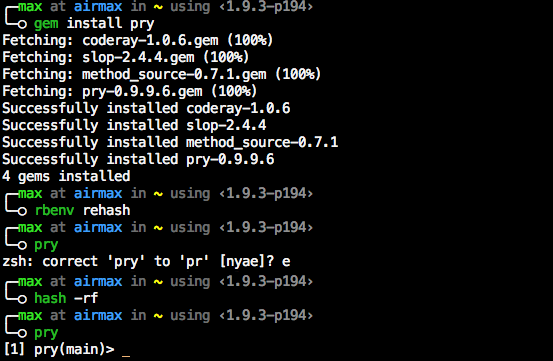 Sometimes zsh is a little over-zealous in its autocorrections. This can happen when a new command becomes available and zsh hasn't updated its list of correct commands yet. You can force it to update with "hash -rf". Create a shared folder as you normally do using the VirtualBox machine settings UI. Even if you chmod 777 your file, OS X may have decided that you don't have permission to move/modify it. The automatic discovery/driver download for network printers doesn't work in Lion. You may have to download the driver package manually from http://support.apple.com/kb/HT3669. local long_macro "something really long..."